Many of the tools outline below will help you complete your course work. If you know of some other useful resources, let your teacher know and they can be shared with other students. Go to 'Print' in whichever program you are using. Send an email to mobileprint@ocsb.ca and attach the document you wish to print. You will receive a confirmation PIN number by email. CamScanner is a scanning app available for iphone, android, and Windows phones. A scanner or scanning app is necessary for students in some courses to convert their handwritten assignments into a single .pdf file for submission to a dropbox. YouTube tutorial here. As part of your @ocsbstudent Google account, you also have a YouTube account! We recommend uploading your videos to YouTube first because not all video file formats will work on all devices. ​Once your video is uploaded to YouTube you can share it in a number of ways: Sharing your YouTube video. 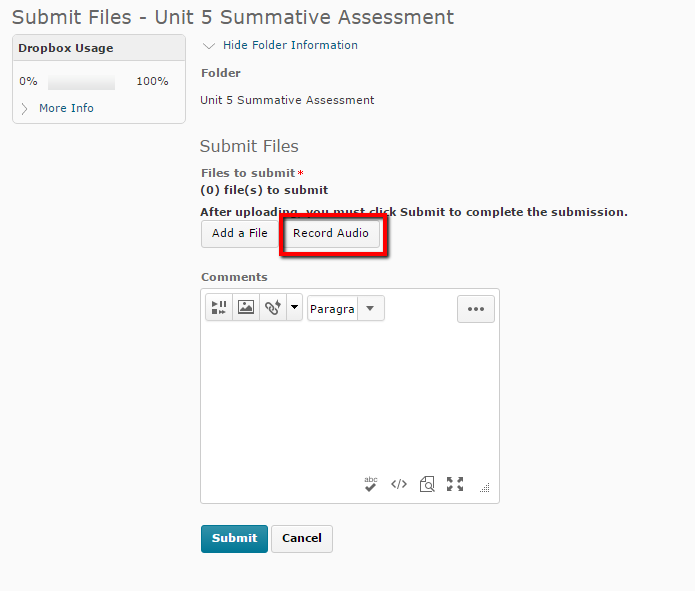 In Brightspace, select the dropbox in which you wish to leave an audio-recording for your assignment. Click the Record Audio and a pop-up window will appear. If a Flash message pops up, allow Flash to use the necessary devices and close. Hit the record button (red dot) and begin recording. In the top right, you will see a 'waffle' icon for Google Apps. When you click on the icon, a list of Google Apps will appear, including Docs, Sheets, Slides and Drawing. If the app you wish to use does not appear on the immediate list, click More at the bottom. Move on to course/dept. information.